SHANGHAI: ReneSola Ltd (“ReneSola” or the “Company”) (www.renesolapower.com) (NYSE : SOL ), a leading solar project developer and operator, today announced its unaudited financial results for the second quarter ended June 30, 2018. Solar power project pipeline of approximately 1.51 GW, of which 670.2 MW is late-stage. Revenue was $27.8 million, compared to $44.8 million in Q1 2018 and $1.6 million in Q2 2017. Revenue from the Project Development business was $10.1 million, due mainly to sales of 6.7 MW of utility-scale projects in North Carolina, United States. Revenue from the EPC business was $7.6 million due to EPC services for 8.4 MW of distribued generation projects in China. Revenue from the sale of electricity was $9.9 million. 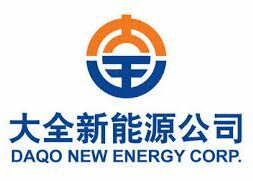 The Company generated 63.3 Million Kwh of electricity from its operating DG projects in China. Gross profit was $8.2 million, compared to a gross profit of $8.4 million in Q1 2018 and $1.1 million in Q2 2017. Gross margin was 30%, compared to 19% in Q1 2018, mainly due to a greater mix of electricity sales due to the seasonality of solar irradiation. Operating expenses were $2.3 million, slightly down from $2.5 million in Q1 2018 and up from $1.9 million in Q2 2017. Sales and marketing expenses were $0.2 million, slightly up from $0.1 million in Q1 2018. General and administrative expenses were $2.7 million, slightly up from $2.4 million in Q1 2018. Operating income was $5.9 million, same as to operating income in Q1 2018 and compared to an operating loss of $0.7 million in Q2 2017. Total non-operating expenses of $5.5 million included interest expenses of $2.6 million and foreign exchange loss of $2.9 million, mainly driven by the depreciation of EUR,GBP and PLN against USD. Income before income tax and noncontrolling interests was $0.4 million, compared to an income of $5.4 million in Q1 2018 and a loss of $0.8 million in Q2 2017. Net income was $0.4 million, compared to an income of $5.4 million in Q1 2018 and $0.8 million in Q2 2017. The Company had cash and equivalents of $24.8 million as of June 30, 2018, compared to $10.9 million as of March 31, 2018. Long-term borrowings were $72.7 million as of June 30, 2018, compared to $32.7 million as of March 31, 2018, due mainly to loans for renewed construction in Poland. The loan term and size for Polish projects was extended during the quarter. Long-term failed sale-lease back and capital lease liabilities, associated with the financial leasing payables for rooftop projects in China, were $85.0 million as of June 30, 2018, compared to $78.2 million as of March 31, 2018. The increase was mainly due to the corresponding growth of the Company’s DG operating assets. On September 5, the Company held its annual general meeting in Shanghai, and approved the following: the consolidated financial statements of the Company for the year ended December 31, 2017, together with the reports of the auditors; the re-election of Mr. Martin Bloom as a director of the Company, who is retiring by rotation and offering himself for re-election in accordance with the Company’s articles of association. The Company’s shareholders denied the proposed resolution of the re-appointment of PricewaterhouseCoopers Zhong Tian LLP as auditors of the Company until the conclusion of the next annual general meeting. On August 30, 2018, the Company announced that in Budapest it closed on long-term project financing with K&H Bank, one of Hungary’s largest banking and financial services firms, to develop an approximately 8 MW KAT-licensed solar project in Hungary. The 8 MW projects are expected to be grid-connected by October, 2018. ReneSola has two more KAT-licensed project portfolios seeking project financing from K&H Bank. On August 21, 2018, the Company appointed Grant Thornton as its independent registered public accounting firm. Grant Thornton replaces PricewaterhouseCoopers Zhong Tian LLP (“PwC”). The appointment of Grant Thornton was approved by the Board of Directors and its Audit Committee after an extensive evaluation process. On July 31, 2018, ReneSola announced an exclusive negotiating agreement to sell its operating distributed generation assets in China, which have a total capacity of 207 MW. The potential buyer is an affiliate of Brookfield Asset Management. The exclusivity period is 60 days from the date of signing. 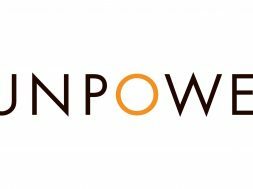 The Company continues to pursue opportunities in small-scale projects in diversified regions and believes its strategy can capitalize on trends in solar energy development. ReneSola currently owns over 226.5 MW of operating rooftop projects, which are concentrated in a handful of eastern provinces of China with attractive development environments. As of June 30, 2018, the Company had over 134.0 MW of rooftop projects under construction. As of June 30, 2018, the Company had 24.4 MW of completed projects, which are currently for sale. As of June 30, 2018, the Company had a project pipeline of over 1.51 GW, of which 670.2 MW are late-stage. 134.0 MW of the late-stage projects are under construction. Late-stage projects include (i) projects with the legal right to develop based on definitive agreements, including the projects held by project SPVs or joint-ventured project SPVs where control can be purchased by the Company once the late stage is reached, and (ii) projects for which a PPA or FiT has been arranged. In the U.S, the Company has a late-stage pipeline of 285.6 MW, 24.0 MW of which is under construction and are expected to be connected to the grid in the fourth quarter of 2018. In Poland, the Company has a late-stage pipeline of 41.0 MW, which are all under construction and expected to connect to the grid in the second half of 2018. In Hungary, the Company grew its late-stage pipeline to 71 “Micro PPs” projects with a total capacity of 42.6 MW. All are under construction and are expected to be connected to the grid in the second half of 2018. In France, the Company formed a strategic partnership with Green City Energy to jointly develop four solar parks with a total installed capacity of 69.0 MW. Additionally, the Company was awarded 16 solar projects in France with a combined capacity of 4.65 MW. In India, the Company has a pipeline of 30.0 MW, which are self-consumption distributed generation projects with top-rated commercial and industrial off-takers. In Spain, the Company has a late-stage pipeline of 162.0 MW of private PPA projects. In South Korea, the Company has secured a pipeline of 9.0 MW. For the third quarter of 2018, the Company’s project business is expected to generate revenue in the range of $15 to $20 million and overall gross margin in the range of 35% to 40%. During the third quarter of 2018, the Company expects to monetize 13 MW of projects. For 2018, the Company expects to generate revenue in the range of $130 to $140 million with overall gross margin in the range of 20 to 25%. The Company intends to monetize 250 MW to 300 MW projects. ReneSola’s management will host an earnings conference call on September 6, 2018 at 8:00 a.m. U.S. Eastern Time (8:00 p.m. China Standard Time). The call passcode is 8561109. A replay of the conference call may be accessed by phone at the following numbers until September 15, 2018. To access the replay, please again reference the conference passcode 1739389. Founded in 2005, and listed on the New York Stock Exchange in 2008, ReneSola (NYSE : SOL ) is an international leading brand of solar project developer and operator. Leveraging its global presence and solid experience in the industry, ReneSola is well positioned to develop green energy projects with attractive return around the world. For more information, please visit www.renesolapower.com.